PRASAD REALTIES established in 2012 is a PROPERTY MANAGEMENT SERVICES to a varied clients all over Kolkata and in select location. Prasad Realties puts the customer needs first at all times with environmentally suitable Properties for an absolute relationship with site and surroundings. We believe in innovation with experience and intensive personal attachment. We have a young and talented workforce, sensitive and dedicated to the above mission. 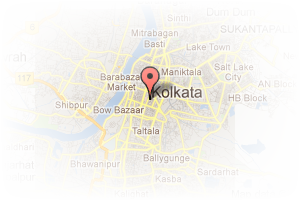 Address: KCC Mitra strreet, B T Road, Kolkata, West Bengal, India. This Broker Profile page for "Prasad Realties" has been created by PropertyWala.com. 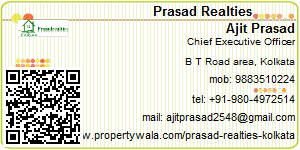 "Prasad Realties" is not endorsed by or affiliated with PropertyWala.com. For questions regarding Broker Profiles on PropertyWala.com please contact us.